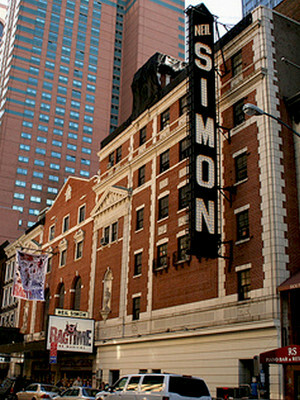 Formerly the Alvin Theatre and built in 1927, the Neil Simon Theatre is located in midtown-Manhattan. In 1983, it was renamed after one of America's most successful playwrights, Neil Simon, after his production of Brighton Beach Memoirs. The venue has 1,445 seats and has been designated a New York City landmark. It is one of the Nederlander Organization's nine Broadway theatres.